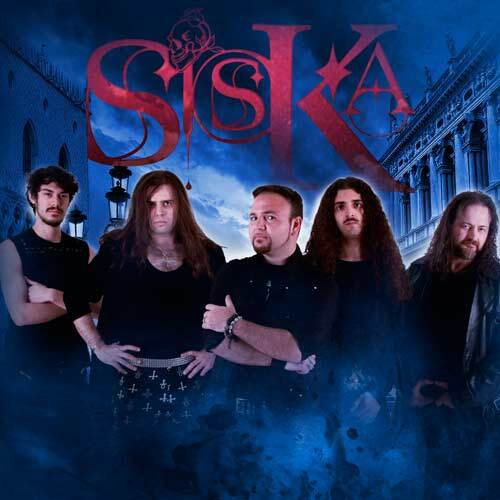 The band SISKA signed the agreement with BIG TUNA RECORDS / SONY for its first record release. Big Tuna Records is finally pleased to announce the acquisition in its roster of one of the most promising and active formations of the Hard Rock / Heavy Metal scene, the Italian SISKA, band of the six-string virtuoso Mattia Sisca, guitarist who played with Blaze Bayley (Iron Maiden) in Brazil and Europe, Dennis Stratton (Iron Maiden), Michael Angelo Batio (US shredder), Jennifer Batten (Michael Jackson). A musical project, SISKA, that made a tour in South America together with Tim “Ripper” Owens (Judas Priest, Yngwie Malmsteen), and played as shoulder group of the legend of world rock SKID ROW, and soon in concert at the Roman Arena in Bucharest on 6 July together at Children Of Bodom, Sonata Arctica, Epica, Soulfly. SISKA’s album, titled “Romantic Dark & ​​Violent”, will have worldwide distribution in vinyls and CDs and will be available starting from July 13th 2018 in stores and on all the most important digital platforms.